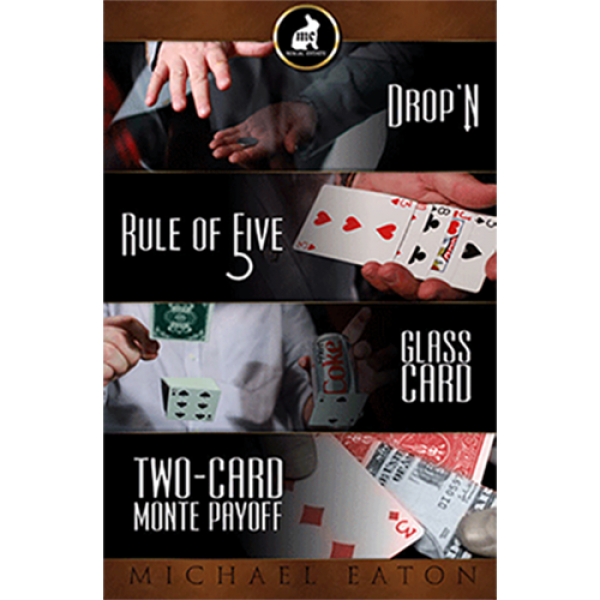 Mostly known for being one of the official magicians of the Orlando Magic NBA team, Michael Eaton's work has gained him notoriety in certain circles. The routines and handling you will learn on this DVD have seen thousands of live performances throughout the last ten years. Michael will show you not only the technical aspect of his work but how he approaches the group(s), wins them over, and then delivers a short but memorable performance that has his audiences requesting his services again and again. What makes magic exciting isn't necessarily the props...it's the performer. There is MUCH more that the magician needs to bring to the game than just his deck of cards or coins. You need to have the ability to connect with your audience, build a rapport with them, and leave them wanting to see more magic wherever they go! It doesn't matter which magician they see it only matters that they love magic! An extreamly visual penetration of a coin through a glass table. A clever quickie. Designed to be fast and effective. Packs small, plays big! Michael's nod to a classic effect with a fun, new and exciting angle of the most crucial part of the trick! A surprising conclusion to an age-old classic. This one will have them baffled. "I have never seen a coin through table look so clean! Mike's magic not only looks great but it gets us free drinks too!" "Michael Eaton is a creative guy with killer chops. Keep your eye on him!"